﻿ Scott@31st Street, Yangon | FROM $6 - SAVE ON AGODA! "Everything was easy to walk to ,great shopping and food ever..."
Have a question for Scott@31st Street? "Great gem of a place." "Scotts is in an excellent location virtually in the Center o..."
If what you're looking for is a conveniently located hotel in Yangon, look no further than Scott@31st Street. From here, guests can enjoy easy access to all that the lively city has to offer. With its convenient location, the hotel offers easy access to the city's must-see destinations. At Scott@31st Street, every effort is made to make guests feel comfortable. To do so, the hotel provides the best in services and amenities. Free Wi-Fi in all rooms, 24-hour security, shrine, daily housekeeping, gift/souvenir shop are just a few of the facilities that set Scott@31st Street apart from other hotels in the city. Step into one of 9 inviting rooms and escape the stresses of the day with a wide range of amenities such as television LCD/plasma screen, clothes rack, mirror, slippers, sofa which can be found in some rooms. Besides, the hotel's host of recreational offerings ensures you have plenty to do during your stay. Whatever your reason for visiting Yangon, the Scott@31st Street is the perfect venue for an exhilarating and exciting break away. "Staff are friendly and they offer basic breakfast." Staff are friendly and helpful. The room is clean, however we can hear people walking up and down the stairs from our room. Perhaps they should provide more slippers for bathroom/toilet. Scotts is in an excellent location virtually in the Center of Yangon very close to Sule Pagoda. It is in the middle of a peaceful Muslim community but the area is also filled with Buddhist, Hindus and Christians with temples and churches along with the mosques creating a vibrant community. If you stay in this place you will realise that President Trump is right. The American media is "fake news". If you believe the western media you wouldn't think that this type of harmonious community exist in Myanmar. So come and spend a couple of days at this hostel and take a walk around. It is very safe. I even walked up the road to have a late dinner at midnight. The area has a lot of Indian and Burmese rotti prata restaurants because most Muslims here are Bengali/Indian origin. But up the road are also Chinese and Burmese restaurants. there also a KFC around the corner. The hostel by the way is clean and well maintained. Located rather close to central area and within walking distance from Sule Pagoda. Feels like the “Little India” of Yangon where you can find a good array of Indian cuisine at every corner. Staff are also very helpful. Thanks! It's a good location right in downtown. Tafts are good andall speak English. The only thing is shower room is pretty small but for what you pay so there is no complain. However I stayed on the top of the bunkbed, and I fell hard when trying to climb down in the middle of the night. Try to get the lower bed if you don't want to fall down like me. Great location. Great capsule like sleeping space. Great staff. I would like them to possibly improve a little bit on the cleanliness of the bathrooms, but not at all bad currently. rooms are very small to start with, like nowhere at all for 4 people to store their big backpacks and have space to move around too. the location is good for somethings but i wanted to be abit closer to 19th street which is where all the european backpackers hang out. this was 25 minutes walk away. nice and new hostel though, beds are super comfy. 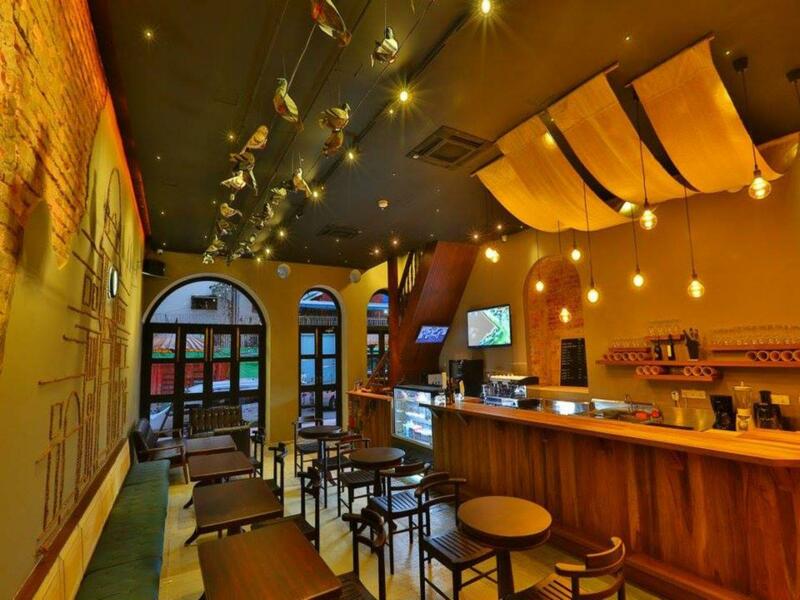 Location is central, walking distance from most places of interest in Yangon. Staff are friendly and they offer basic breakfast. I like the ambiance of the lobby/dining area, the place is quiet and peaceful and the internet is fast. We only stayed here for a few hours really as we came from Inle and we needed a place to rest and shower before our flight out in the afternoon. Shared bathroom could be a bit cleaner. This property has everything backpackers need. Affordable price, friendly + very helpful staff, good + clean facilities, fast wifi. 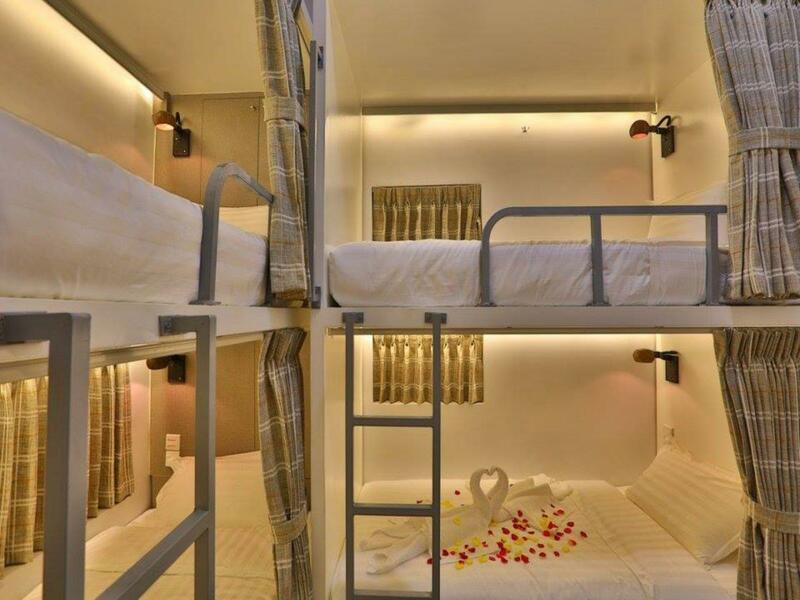 What I love : each bed is covered with curtain, equipped with electrical plug in, lamp, small space to keep your belonging and another locker to put valuable stuff. It's highly recommended for backpackers. Only downer for me was the bathroom. The shower stalls are too small and that makes it hard to shower without getting your items wet, although they do provide a small rack at the top to keep your things out of the way. Room was fine and offers a nice cupboard at the head of the bed to store your items. I stayed there with my mom, staff got everything we requested. Beds and blanket are super comfy. My mother got very comfortable there. Staff are very nice, friendly and helpful. The hostel is near to a shopping mall and easily to get in-out. Beautiful place Lobby decorate modern style You can drink or eat at lobby Value for money but there have stair many step and step be narrow. Older people is not easy to walk. If you need towel, you can rent for 1$ US is not free. The comfort given during my stay was more than what I paid for. It exceeded my expectation. 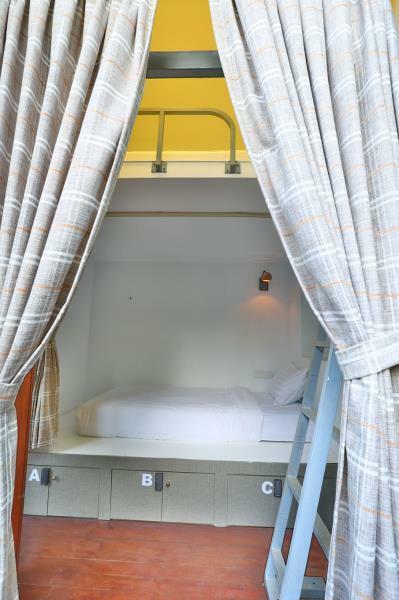 I would definitely stay again in this hostel if I am in Yangon. Best location. Best service. Very affordable price. Perfect place for a backpackers like me who loves to sleep comfortably without breaking my pocket. Dear Polinario Thank you for choosing us your stay with us during your holiday in Yangon. We are glad to hear that you have enjoyed your stay and felt value for money. We do appreciate taking your time and wrote a fabulous review for us. Safe Travels and hope to see you again soon! One cannot go wrong with the Scott@31st Street. It's private without the hurley-burley of the other streets and the building is well-restored. The staff speaks English and is proactive. It's really great. highly recommended. Although you might want to skip breakfast and head out to have a mohinga. Just tell the staff were you can have them. By the way, breakfast is just plain toast with jam, coffee, basic cereal and milk. Thats it. but hey, the rate is fairly cheap and I love their bed, so comfortable. Maybe a bit cleaner toilet and this hostel would be perfect.! =) Id go back anytime. You will not find a more luxurious cheap and cheerful pristine spotless clean hostel in Yangon and Scott is by far the very very best from food to comfortable bed with quality linen, hi tech security lockers, western style breakfast, great in house restaurant and coffee shop ultra hi speed internet and just walking distance from all the best bars and restaurants of the hectic downtown, tucked away the hostel offers a quiet comfortable nights sleep, the balcony is beautiful and attracts a wonderful international crowd of clean travellers unlike many dingy hostels that are one or two dollars cheaper but way dirtier and lousy in comparison to the heaven of Scott for the 5 star backpacker and all trustafarians. Scott Hostel is just perfect in everyway, i have been going to Myanmar for over 30 years and i can sincerely say that Scott is now the very best place to stay - the location is the most perfect for bogoke scott market or for any of the downtown food and drinks. 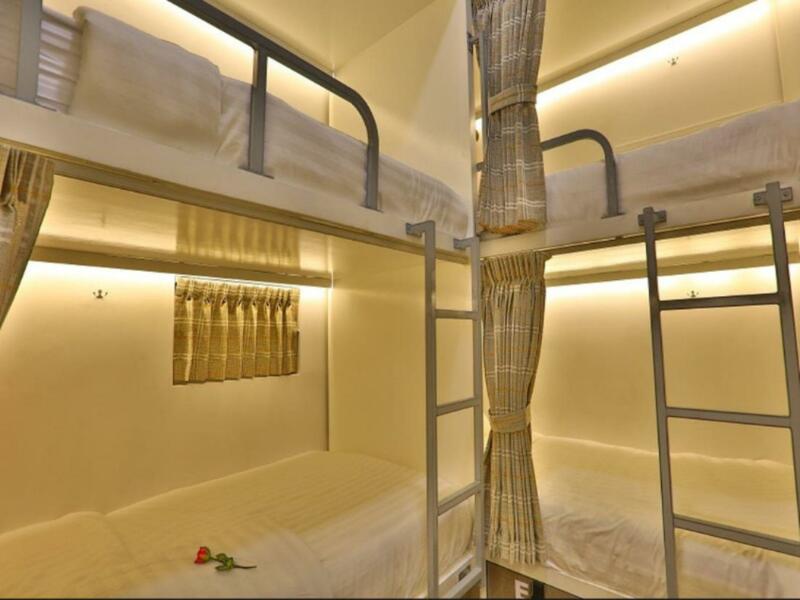 the hostel is very clean and modern with helpful staff. Walter the manager is extremely helpful and honest, he does all my buses taxis etc and is cheap and efficient. the breakfast is nice, the coffee variety is wonderful, try their superior sweet and sour chicken it is clean and healthy. there is a large varandah with bar football, there is high speed internet and free communal laptops available.